• I specialize in providing online coaching via text or social media and training regimes strategically designed to progress your strength in the Squat, Bench and Deadlift endlessly. •I also provide hybrid programs that can include alethicism, calisthenics, bodybuilding, and powerlifting altogether; all of these forms of training can help you lose fat and gain muscle. •Training sessions will include visual and scientific breakdown of each exercise that is required in achieving your fitness goals. •I will thoroughly guide you through each exercise slowly and make sure your form is correct, you will learn how to exercise on your own! •Give you strong mental approach on how you should go about your training and attack your workouts, as it can carry over and apply in many areas of your life! •I’ve trained coached and competed at national meets. 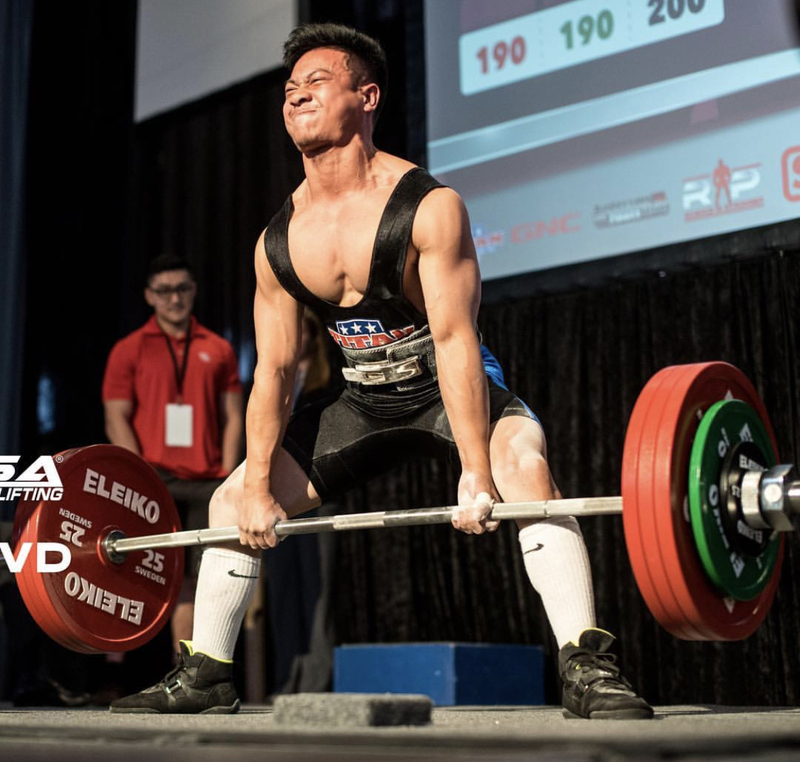 I am a 66kg USAPL Powerlifter, so this is what I do! I love the adrenaline and exhilaration when I compete and get stronger hitting new Personal Records achieving new heights of raw strength, and the process of training and getting stronger is beautiful within itself. I enjoy this process of self-growth in how it also had positive ripple effects in many areas of our lives. Most importantly, I love to share my experiences and knowledge and watch people grow in the sport, or in fitness overall. It all started with me doing push-ups and sit-ups. I’ve also recently started training calisthenics and it is in my training regimes supplemental to Powerlifting. Fitness comes in many forms but it’s as long as you’re in motion. I will do an analysis on your history of physical activity and health. We will assess their fitness goals, and see their purpose in their reason WHY. Brainstorm a strategy on how we can attack their goals. I will show them the basics in how to build a strong foundation through patience and consistency. Current education is being a coach to my clients always finding ways to improve and optimize to help them become better versions of themselves. I’m always learning on this ongoing journey when giving my clients the guidance they need to reach new PRs and to dominate humbly. Online coaching services are $70 a month, while personal training is $50/hr. Online coaching is provided with a 4 week block designed to help you achieve your fitness goals aligned with your style of training. I’m here to mentor and give you constant feedback on your progress for as long you keep up with me and show me. I got started when someone needed help on their lifting and when I got to actually experience how it was to have a coach and how they keep you accountable. This process was a catalyst to my desire in becoming stronger and helping others who are hungry for change. I worked with undergrads, and students who've already graduated.